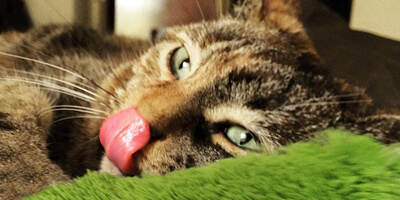 This year Emma the cat and I worked well together to compile a list of holiday gift ideas for pets and pet lovers alike. Our humans shower us with love, belly rubs, and new toys and treats all year. 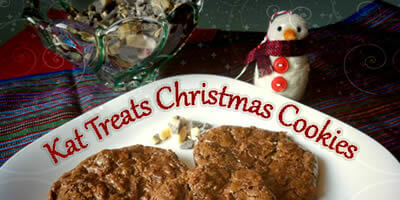 They also like to get us something special for the holidays. And they love when friends and family buy us a little gift around the holidays, too. I speak for Emma and myself when I say we don’t mind it too much, either. Actually, you are pretty lucky I speak for the both of us because everything Emma says sounds a lot like, “I don’t like you, Ruby” or “I’m getting ready to scratch you again”. Silly kitty. The Kyjen Holiday Hide-A-Squirrel is my new favorite dog toy. Chasing real squirrels leaves me stumped, but I love the challenge of stalking and successfully capturing my prey. 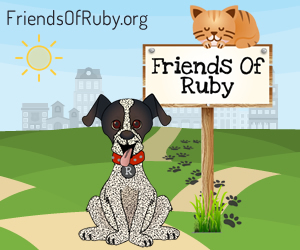 This canine puzzle game keeps my coordination and mental game on point. You never know, with enough practice I may just catch a real squirrel one of these days. 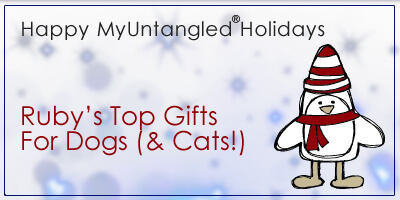 Go Cat Toys has a feline’s favorite things: crackling plastic, looped threads, sisal twine, catnip, and jingling bells. 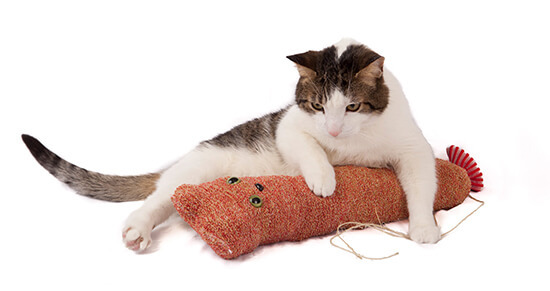 These cute cat toys offer plenty of fun at playtime and a warm snuggle at snooze time. 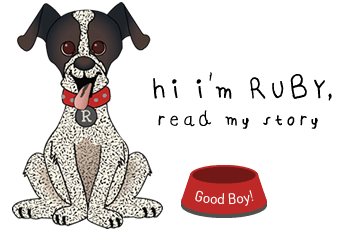 Aaron Kaufman sells cool digital drawings of dogs then donates 30% of his profits to a dog-related organization every month. 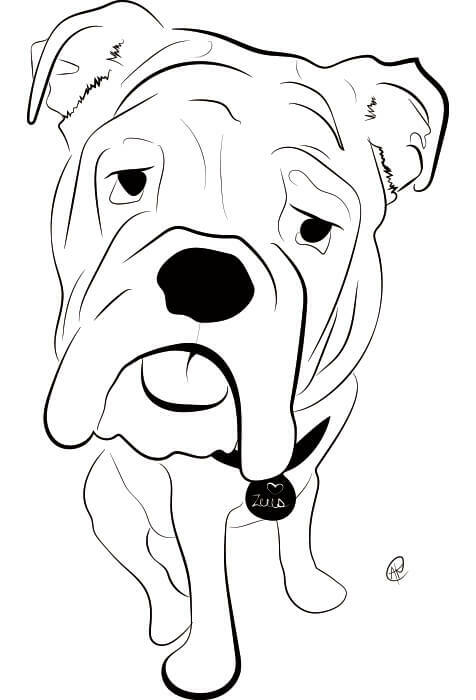 Give a great gift to the dog lover in your life and to dogs in need with Charity Pups drawings. This self-warming bed was Emma’s “keep” suggestion for the Yankee Swap last year. It’s still on her wish list. 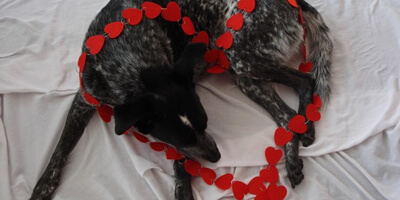 Perhaps if she stops threatening to scratch my eyes out I will get it for her this year. Forecast: Unlikely. My friend Bunny (who is a dog, not a bunny) and her sister, Flattery (who is a dog, not a flatterer) from Tales and Tails recently got personalized dog identification tags from 1cutepooch.com. 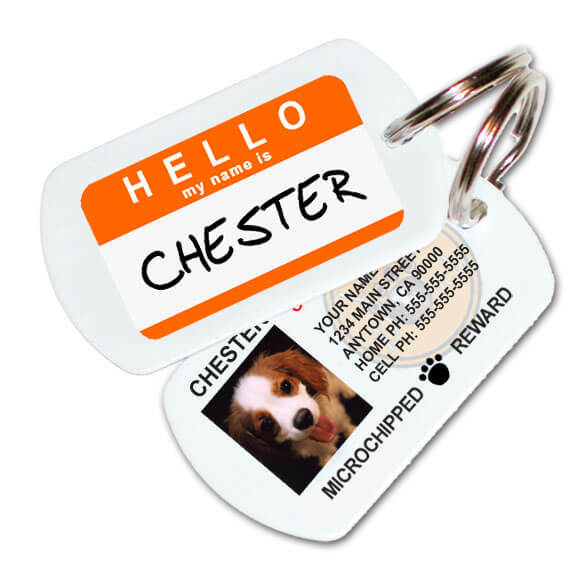 Well, I am one cute pooch, and I really hope to get one of these adorable tags this year, too. 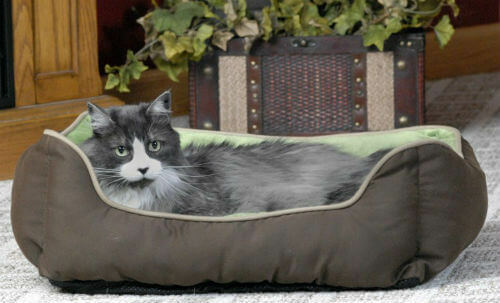 Neko Nappers pet house offers chic “chateau” living for smaller dogs and cats. 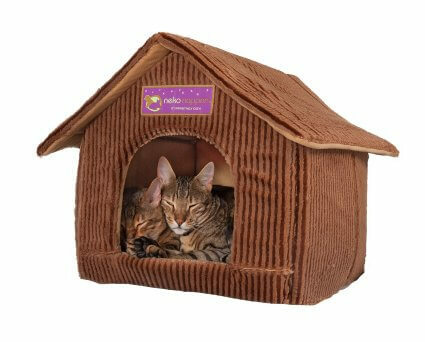 I would suggest you put dogs OR cats in this foldable and easy to assembly abode, but that may just be a personal preference. I think socks are a great stocking stuffer idea. 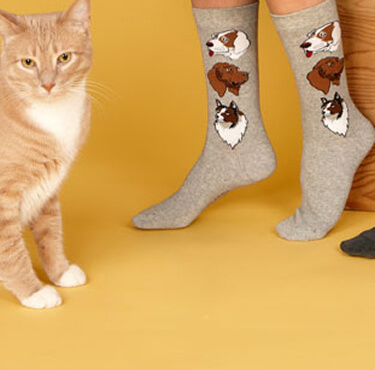 Practical and cute, these dog and cat socks are sure to warm the heart (and feet!) 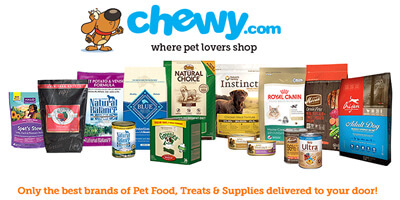 of your favorite pet lover.